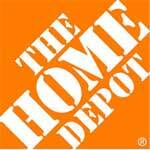 NEW YORK CITY, USA: Home improvement retailer Home Depot boosted its forecast for the year on Tuesday (20 August), crediting the recovery in the housing sector for a 17.2% jump in quarterly profits. Net earnings for the second quarter to August came in at US$1.8bn on revenues of US$22.5bn, up from US$1.5bn on revenues of US$20.6bn a year ago. The results translated into per-share profits of US$1.24, three cents above analyst forecasts. "The second quarter results exceeded our expectations as our business benefitted from a rebound in our seasonal categories, continued strength in the core products of the stores and the recovering housing market in the US," said Frank Blake, Home Depot's chairman and chief executive. The results included a 10.7% gain in comparable store sales. Home Depot raised its full-year profit forecast by 8 cents to US$3.60 a share. The company now expects overall sales to grow 4.5%, compared with the earlier forecast of 2.8%. Home Depot's results were a bright spot in the US retailing industry after reports from Walmart, Macy's and others were weak and disappointing.